The idea that a Senator—Republican or Democrat—would put the greater good of the country ahead of party seems nearly impossible to imagine in our current climate of gridlock and divisiveness. But this hasn’t always been the case. Arthur H. Vandenberg (1884–1951), Republican from Grand Rapids, Michigan, was the model of a consensus builder, and the coalitions he spearheaded continue to form the foundation of American foreign and domestic policy today. Edward R. Murrow called him “the central pivot of the entire era,” yet, despite his significance, Vandenberg has never received the full public attention he is due—until now. With this authoritative biography, Hendrik Meijer reveals how Vandenberg built and nurtured the bipartisan consensus that created the American Century. Originally the editor and publisher of the Grand Rapids Herald, Vandenberg was appointed and later elected to the Senate in 1928, where he became an outspoken opponent of the New Deal and a leader among the isolationists who resisted FDR’s efforts to aid European allies at the onset of World War II. But Vandenberg soon recognized the need for unity at the dawn of a new world order; and as a Republican leader, he worked closely with Democratic administrations to build the strong bipartisan consensus that established the Marshall Plan, the United Nations, and NATO. Vandenberg, as Meijer reveals, was instrumental in organizing Congressional support for these monumental twentieth-century foreign policy decisions. Vandenberg’s life and career offer powerful lessons for today, and Meijer has given us a story that suggests an antidote to our current democratic challenges. After reading this poignant biography, many will ask: Where is the Vandenberg of today? 22. What Is Russia Up to Now? "An engaging and thorough account. . . . A first-rate chronicle." "Every member of Congress should read this book for a lesson in leadership. The story of Vandenberg's switch from a pre-World War II partisan isolationist to one of the chief architects of post-war international institutions highlights how essential it is for a leader to learn from his times. But to be effective, Vandenberg also understood that he had to work in a relentlessly bipartisan manner, which wasn't easy then as it isn't now. Still, he succeeded." 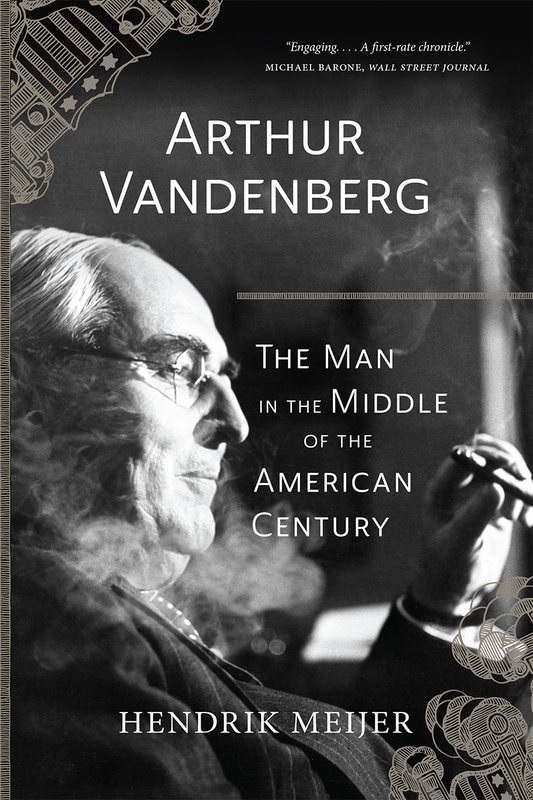 "Hendrik Meijer's Arthur Vandenberg is an important contribution to 20th century U.S. political history. Meijer brilliantly captures the bipartisan spirit of NATO, the Marshall Plan, and much more, which Vandenberg embodied. A landmark achievement." "A detailed and admiring biography of Arthur Vandenberg. . . . Meijer gives us a portrait of a politician with somewhat of an old-school manner; he was an orator, a backroom master, and a strategist who loved hearing good things about himself (are there politicians who don't?). Principally, he shows us a man who believed in working with rather than condemning his colleagues. A sturdy and necessary biography of a politically principled man who is sadly fading into obscurity." "Meijer strikes a good balance between telling a comprehensive story and presenting a reasonable narrative. . . . One of Michigan's top business leaders has written the definitive account of Michigan's greatest statesman."